Supporting you, the electrical contractor, as our channel to market. Middy's have been supplying electrical materials to the electrical industry since 1928. We work closely with Industry Associations to promote the safety of the installer to the consumer and support the concept of 'Don't Risk It - Use A Licensed Electrician'. We support the electrical contractor as our channel to market. The background of our ‘Respect the Channel’ logo is that Middy's as a key industry participant are concerned at the potential changes that are taking place within the industry. New channels of electrical materials to both electricians and direct to the public threaten the traditional distribution model of manufacturer to wholesaler to contractor to consumer. Online suppliers are offering products that may not comply with Australian safety standards and can pose a serious threat to you and your customers. Additionally if you purchase these products, you may find your business exposed to potential liability should the products fail and cause fire, injury or death from electrocution. Whereby customers buy and install components from wholesalers such as Middy's they have the security of knowing that we sell quality products from recognised brands. We maintain adequate insurances and are able to support products we sell thereby providing peace of mind to you and your customers. Major DIY retail chains are ramping up their focus on the Australian electrical market. These companies offer direct sales to consumers and aim to cut out both the wholesaler and the electrician. Under Australian law it is illegal for consumers to install fixed electrical products. Retailers also expose prices on key products lines and limit the ability for you the electrician to charge a margin on materials. We support quality brands that provide the installer with the peace of mind that the product can be used with confidence and that call backs, due to product failure, will be minimal. Middy's invest heavily in new technologies with the objective of growing business opportunities for you and your business. This investment is entirely focussed on providing you with broad business support so you can be confident in offering an expanded range of services to your customers and therefore grow your business. We have a proven track record of doing this in the areas of security, automation, datacomm and energy smart solutions. 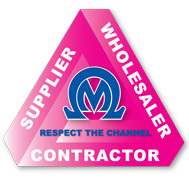 Middy's commitment is to ‘Respect the Channel’ of Supplier – Wholesaler – Contractor.